Vein expert doctors at Precision VIR in Dallas, TX announce Varithena as a non-surgical option for varicose vein patients. Sadly, vein disease does not cure itself and can get worse if untreated. Precision VIR can reduce varicose vein symptoms and improve leg appearance. Dallas, TX (April 16, 2018) – The doctors at Precision Vascular & Interventional recently announced they incorporated Varithena® (polidocanol injectable foam) into the growing list of superior vein treatment options for their patients. 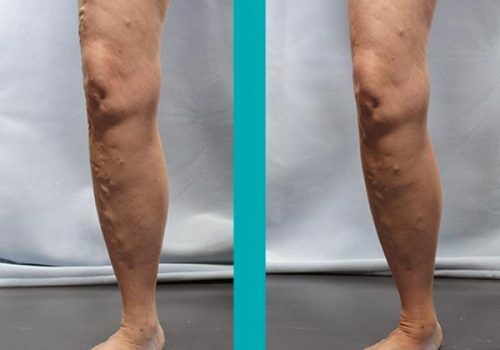 Varithena is a non-surgical prescription medicine many believe can be a game-changer when it comes to treating varicose veins, specifically in combating the symptoms of heaviness, achiness, swelling, throbbing and itching. Varicose veins are enlarged bulging veins usually found above the surface of the skin on the legs and are a telltale sign of vein disease, where vein walls and valves have become weakened and eventually interrupt normal blood flow. These veins can range from the most common spider and varicose veins to skin breakdown and venous ulcers. More than 20 million Americans suffer from vein disease or venous disorders. Sadly, vein disease does not cure itself and can get worse if left untreated. Luckily, there are a variety of treatment options available for patients with venous conditions, including Varithena, Sclerotherapy, ClosureFast, and Microphlebectomy. Varithena (polidocanol injectable foam) is the latest option. It is administered through a catheter or by direct injection into the malfunctioning vein. The foam fills the desired section of the vein, and the diseased vein collapses. Blood flow then shifts to healthier veins nearby. This procedure does not require incisions. While the doctor usually numbs the injection site, no additional anesthesia is required. Varithena® is a registered trademark of Provensis Ltd, a BTG International group company. Precision VIR has long been at the forefront of performing leading-edge procedures to treat vein disease such as varicose veins, spider veins, deep vein thrombosis (DVT), chronic venous insufficiency (CVI), and peripheral arterial disease/peripheral vascular disease (PAD/PVD)—all while providing compassionate patient care. With multiple locations in the Dallas-Fort Worth area, Precision VIR was established in 2012 as the first independent Vascular and Interventional Radiology practice in North Texas. They focus only on minimally-invasive procedures and surgeries that are the safest and most efficient options for patients. There are no large incisions, which allows for a reduction in risk, less pain, and shorter recovery time. All physicians at Precision VIR are Board Certified Diagnostic Radiologists with additional Fellowship training in Vascular and Interventional Radiology. Precision VIR serves Dallas, Fort Worth, Carrollton, Richardson, Garland, Mesquite, Highland Park, University Park, Park Cities, Plano, Frisco, Allen, McKinney, Flower Mound, Lewisville, Denton, Arlington, Irving, Grand Prairie and all of North Texas. Precision VIR doctors are area leaders in vascular disease diagnosis and treatment for conditions such as varicose veins, spider veins, deep vein thrombosis (DVT), chronic venous insufficiency (CVI), peripheral arterial disease/peripheral vascular disease (PAD/PVD), IVC filters, women’s pelvic congestion syndrome, male varicoceles and female uterine fibroids. For more information on Varithena, visit the Precision VIR FAQ page or to see if this procedure is the right treatment for your varicose veins, schedule a consultation by calling (214) 382-3200.